Before I get into the swing of how I managed to make 7 recipes with 1 pumpkin, I’ll set the scene. Unfortunately, I kinda missed Halloween this year and seeing as it would have been me carving the pumpkin that Sophy kindly bought me, it was left as a plain solid decoration in the window without a candle in sight. 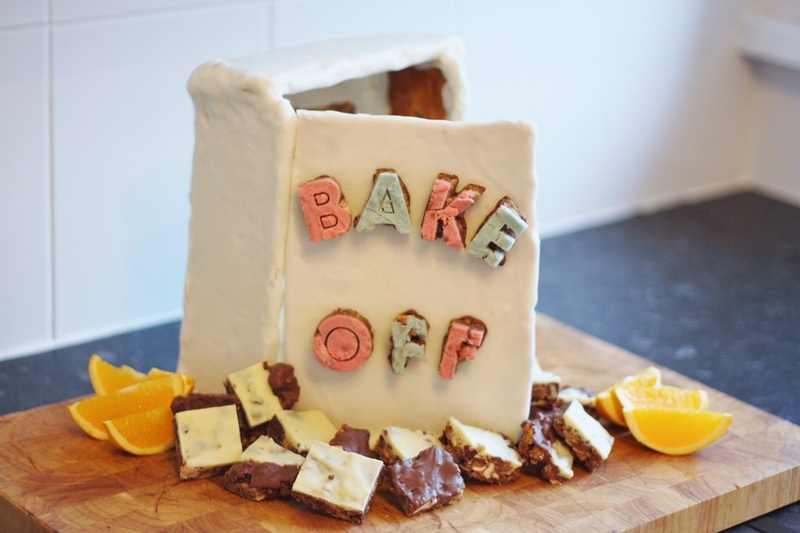 However, this meant that as Adam was working the following weekend, and when you’re bored and alone the ONLY thing you can possibly do to fill a Saturday afternoon is bake, I challenged myself to make as many recipes with the pumpkin as possible. It was fairly big, I’ll give you that, but not overly huge, and I was pretty surprised with how far it went! 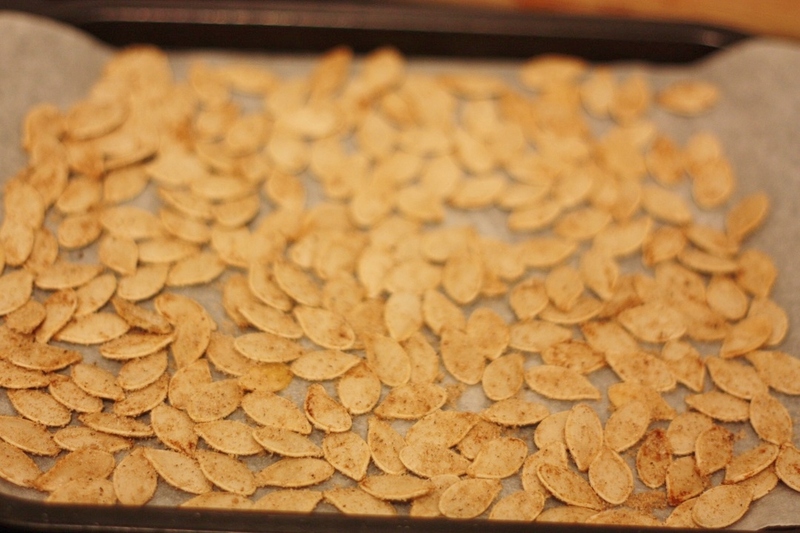 Yep, believe it you may not, but every single one of those bad boys was created our of just one little old pumpkin, and I managed to complete every single recipe in just one afternoon! 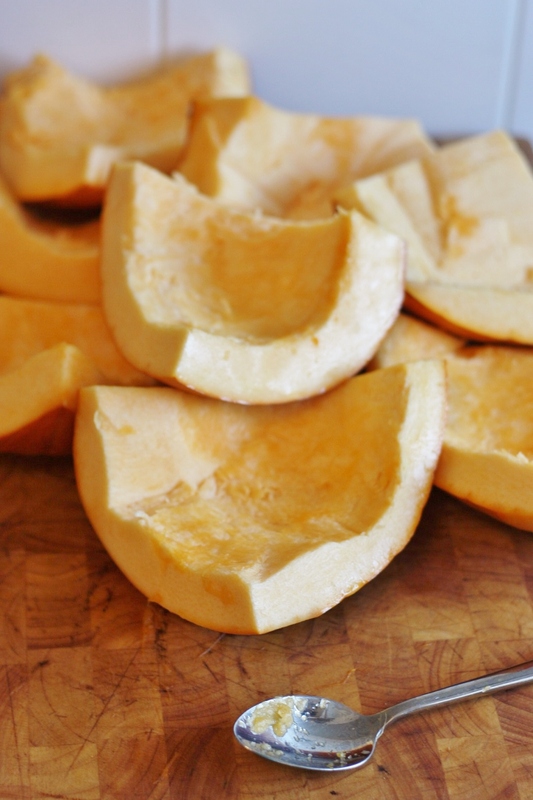 First things first, you have to chunk up your pumpkin. I found it easiest to cut in half, then scoop out all the seeds, separating them from the pith (which you can throw away as it’s gross!). 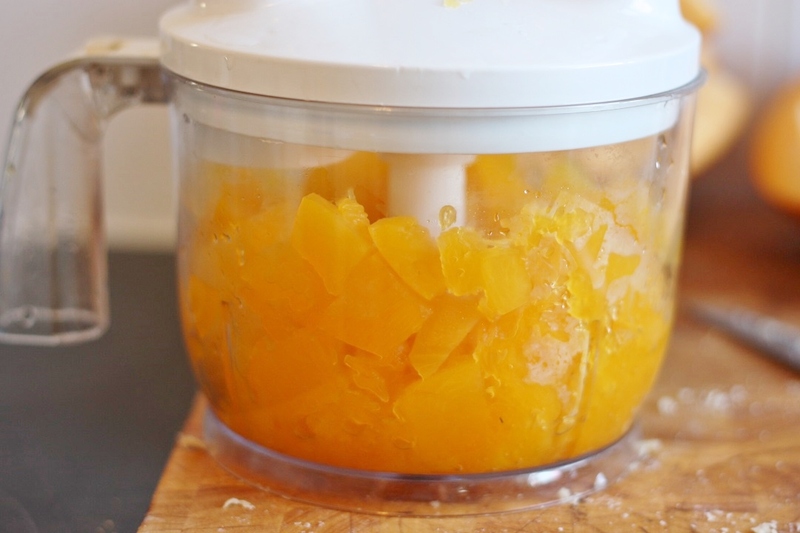 From there, its probably best to chop again into quarters, then using a spoon scrape away the remaining pith on the inside, then peel the skin off with a peeler, so you’ve got bit chunks of pure pumpkin flesh. These were actually surprisingly easier than I thought. 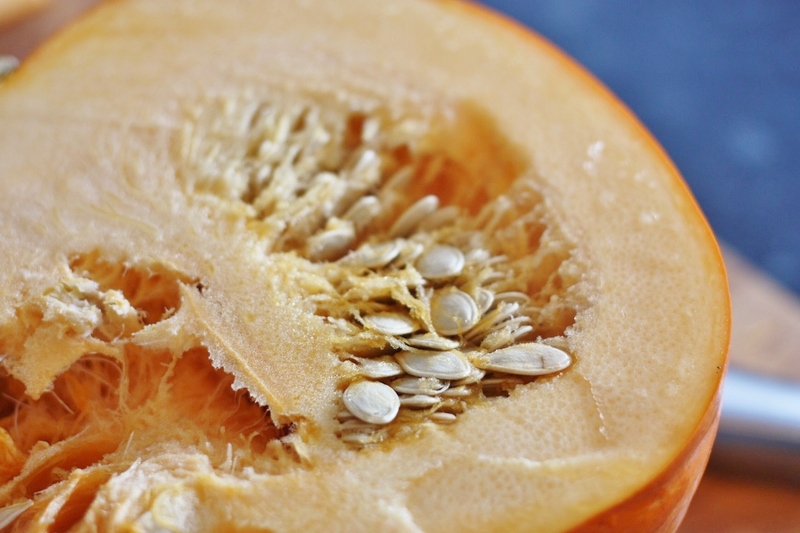 You have to wash the seeds thoroughly in cold water to get rid of the remaining pith. (fyi this is such a satisfying feeling as they’re so slippery, but yet feel really cool. Try it!) Then drain and lay on some kitchen towel in a single layer (I split mine onto two plates) to dry out completely. I got on with the other recipes whilst this was happening and then came back to the seeds later. 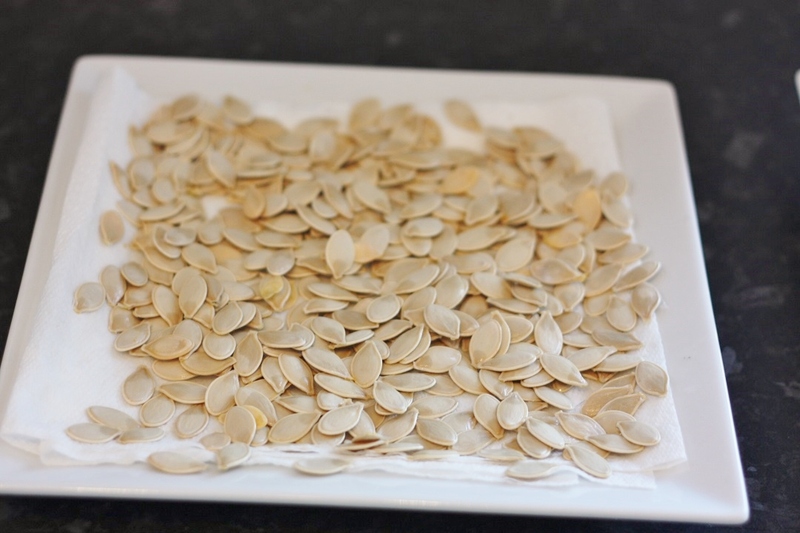 Once dry, put in a bowl and add a teeny tiny bit of oil to the seeds, rubbing in thoroughly with your hand to coat all of them. Then you can add a decent amount of your flavouring. 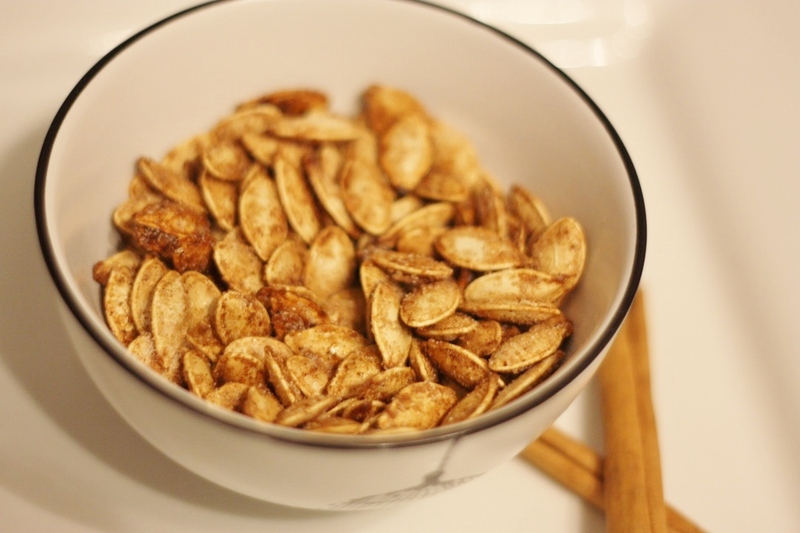 For the cinna-sweet, add lots of white caster sugar and cinnamon – any excess in the bowl will be used afterwards. The trick is to really smother them! The curry-spice ones I used a mix of balti curry spices and korma curry spices, with an extra shake of chilli powder for good luck! Then lay them on a baking tray covered with parchment so they’re only one layer deep, and roast in an oven at 170 degrees Celsius for a few minutes (depends how long on your oven, but is really only max about 5 mins). Try one, if it’s crunchy all the way through it’s done. 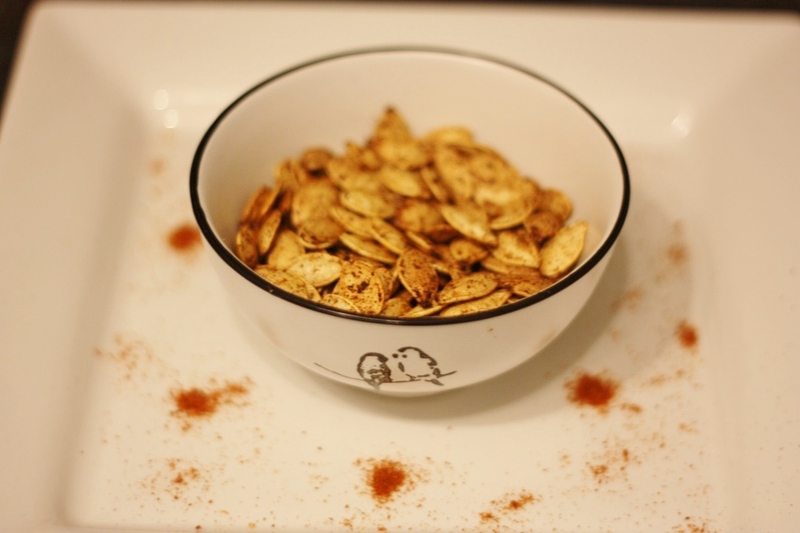 Bring them out and whilst they’re still hot, sprinkle on more topping for extra flavour! 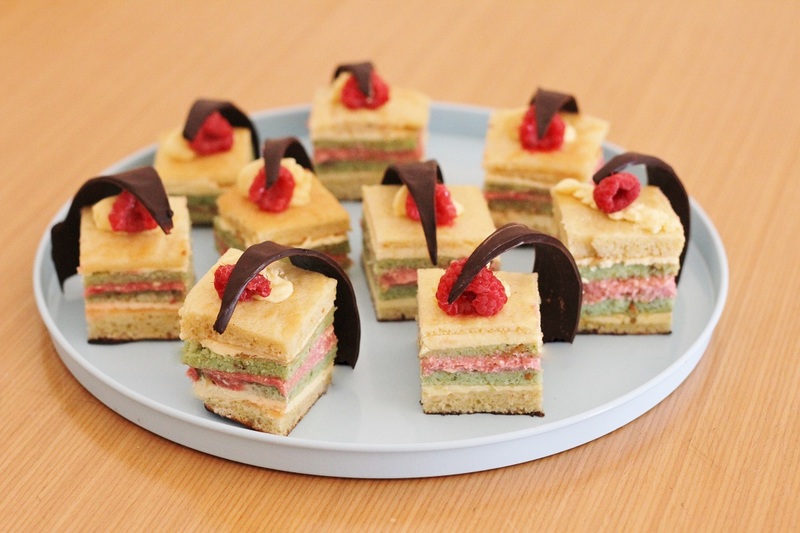 I won’t lie, I definitely made these as a tribute to my love of Harry Potter, and they were absolutely delicious!! I used a mixture of this recipe for the inside and this recipe for the pastry (except, I halved the quantities – it still made 12 handful sized pasties!- didn’t use lard and kinda just winged it so actually didn’t use the recipes much at all!). 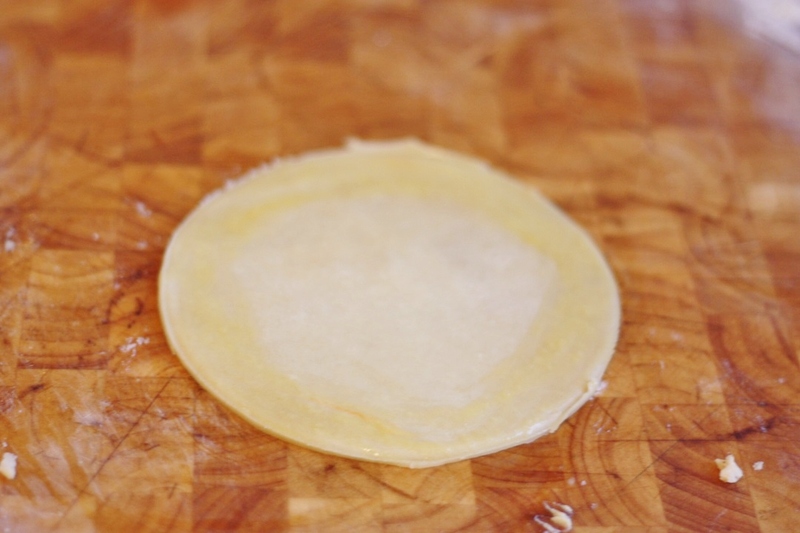 The trick with pasties is to chop your filling quite small, cook it before hand, then let it completely cool before trying to add it to your pastry. 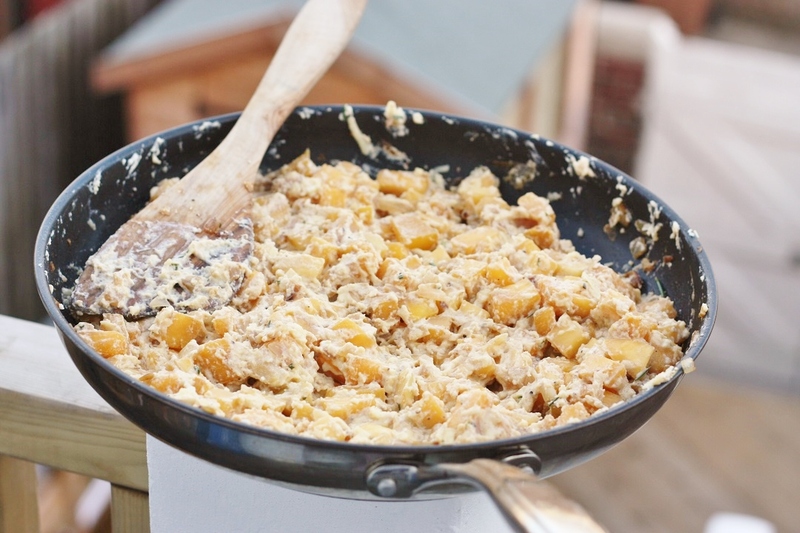 My filling was a mix of pumpkin, ricotta, cheddar, onions, swede (which is a staple in all pasties!) and herbs and seasoning – I used rosemary and thyme mainly! 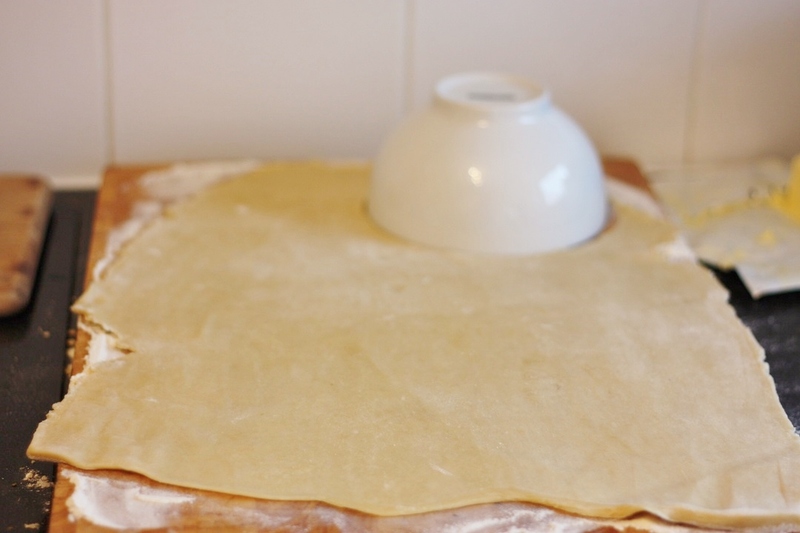 After you’ve cut out neat circles of your pastry, go around the edge with some whisked egg yolk before you put your filling in, then fold over, pinch the edges in your fingers and then use a fork to press down. Make sure you make two incisions in the top for the steam to come out and go over the whole thing with egg yolk before it goes in the oven for about 20 mins at 200 degrees Celsius. 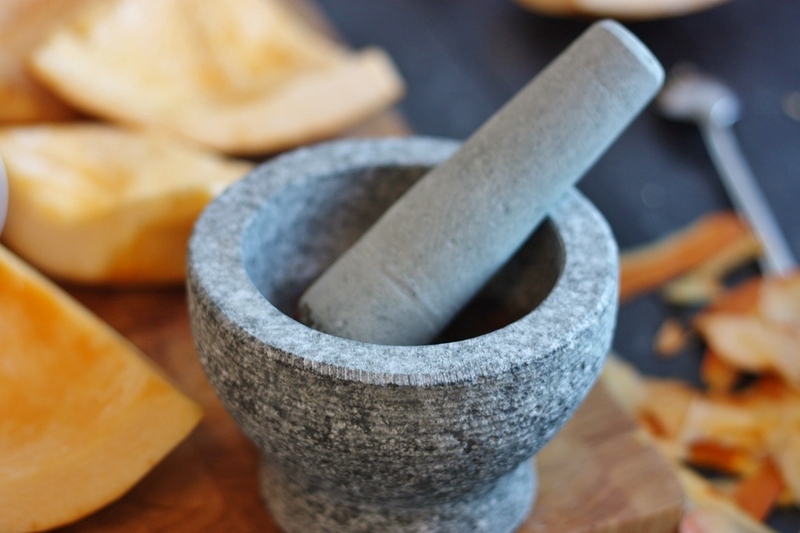 Use this recipe for the pizza base, although we like to also add course semolina as it makes it taste authentic! 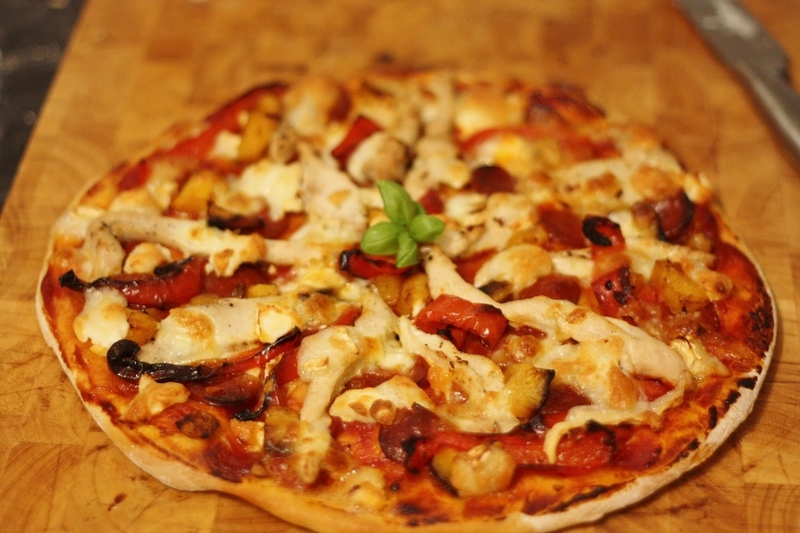 Homemade pizza is SO simple and really delicious, so no excuses about spending loads of money on Dominoes! I like to use a mix of tomato ketchup and tomato puree as my base, then cover it in meat and veggies, followed by the cheese on top. This pizza was rather luxurious as we had a mix of goats cheese and mozzarella, as I love goats cheese, but it just doesn’t melt like mozzarella does! Another simple but delicious way to use up some of the roasted pumpkin, I made up a sauce using roasted tomatoes that were skinned and whizzed up, mixed with some oregano, red wine and garlic then left to simmer down for a bit before I added in the pumpkin and the tagliatelle which had been cooked. 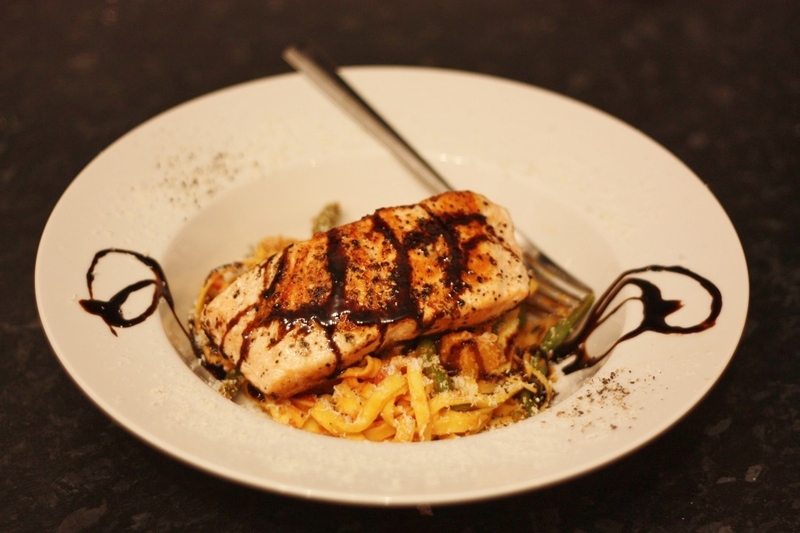 We served it with seared salmon steak that had been grilled with lemon juice and lots of seasoning and topped with balsamic glaze. I couldn’t really cook up a pumpkin without something pumpkin spice-esque could I? 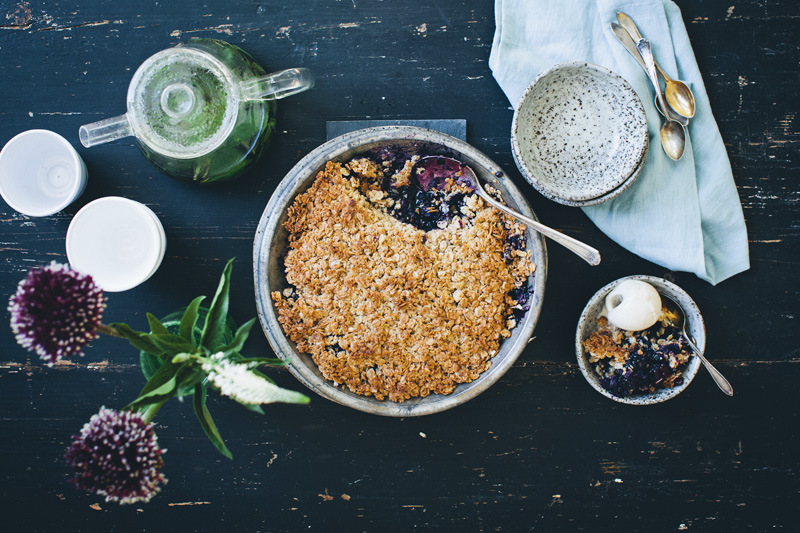 This recipe I absolutely loved the sound of. 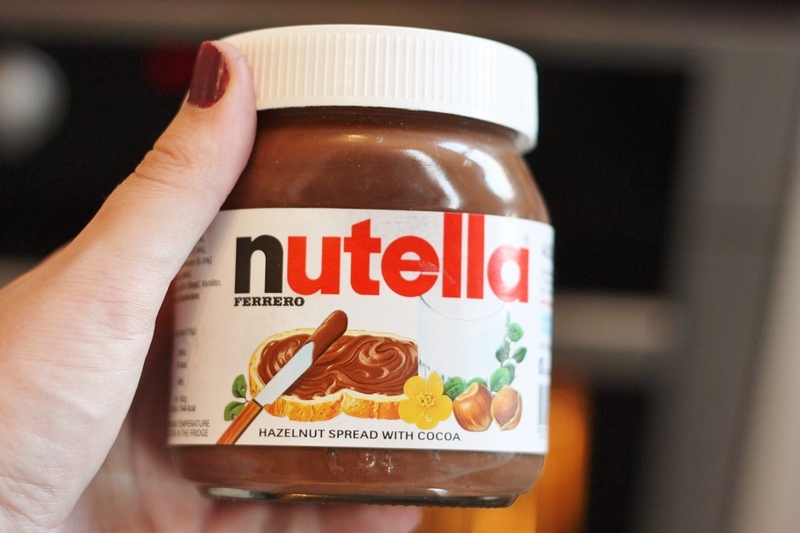 Pumpkin spice + nutella = heaven! 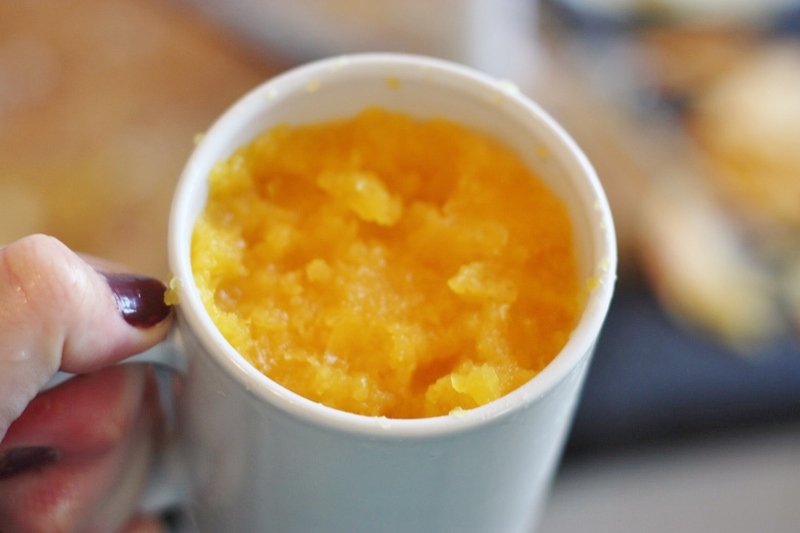 It was actually quite easy to do and required just one cup of pumpkin puree which I made up by hand rather than from a tin like the recipe suggests. 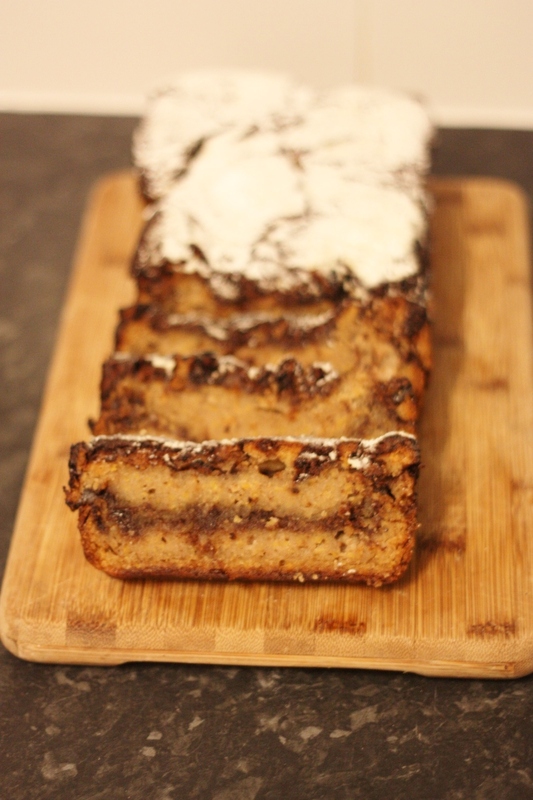 I would warn you that it’s quite a moist and sticky cake, but utterly delicious. Just be careful that the nutella doesn’t burn on top, if the cake’s not cooked but the top is too brown, put some foil over it to stop it burning! 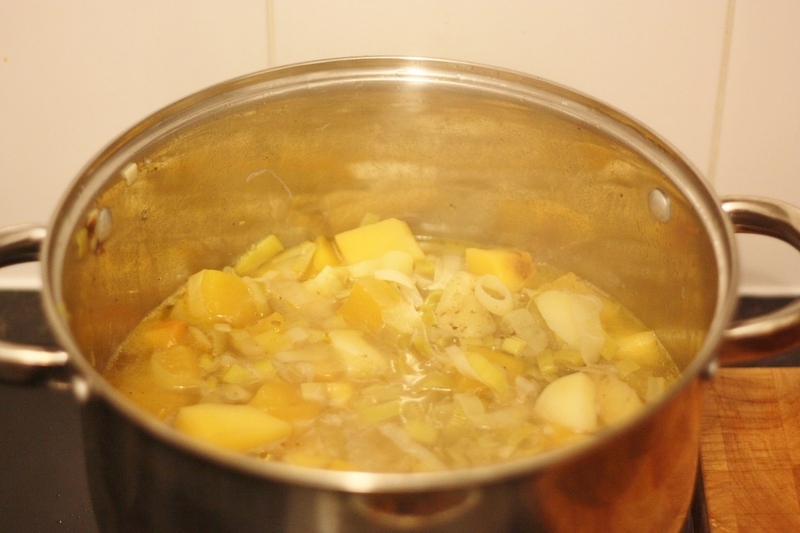 There was actually a fair old amount of pumpkin left over after these recipes, so there’s nothing better than using up all the remaining veg in a huge bubbling pot of pumpkin soup (which I added swede, leeks, potatoes, onion and chicken stock to and then blitzed). I was certainly annoyed that I left this one behind in Plymouth, which fed Adam up for a week but meant I missed out! 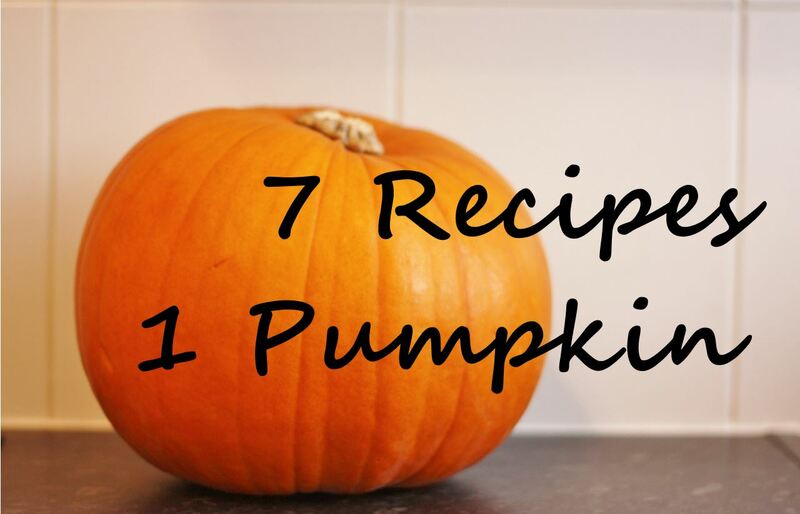 So there you are – 7 recipes, 1 pumpkin! It actually didn’t take me longer than about 3 hours for all of them combined, and fed the two of us for lunch and dinner all weekend, as well as Mum and Dad, plus 5 other hungry professional pirates (I’ll explain more about Adam’s job at another time) who devoured both the pasties and the cake on a rather rough dinghy drill the next day. 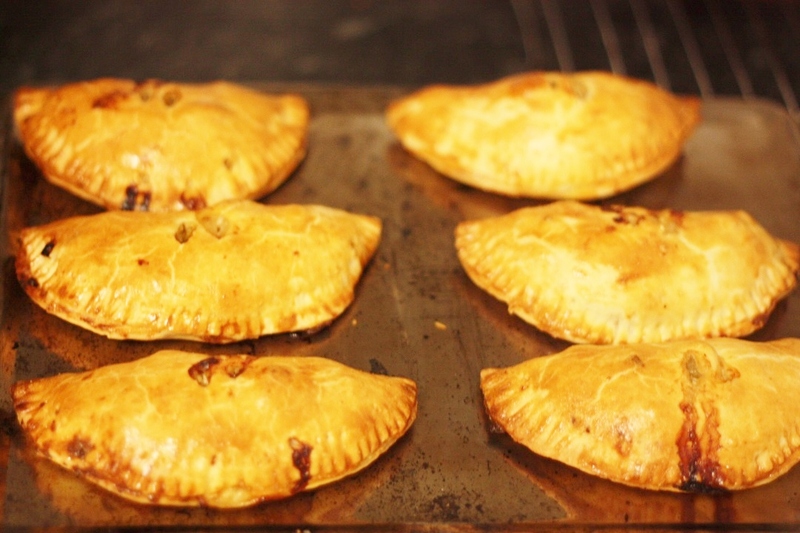 My favourite were the pasties as I’ve not made vegetarian ones before and these were a triumph, plus I will be repeating nearly all the other recipes too at some point. 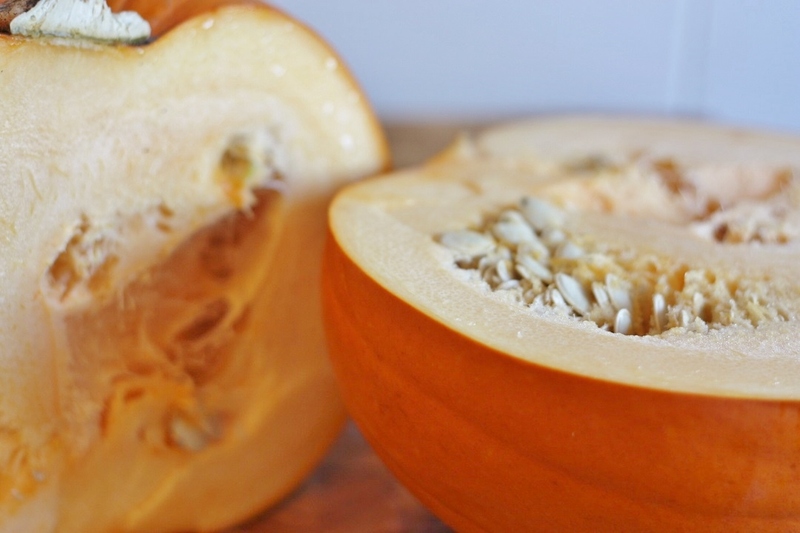 Who knew that from one little £1.50 pumpkin you could produce so many delicious recipes! Things all women (and men!) should know about their car!